Sharpshooter is no longer available. A future version of this game is planned but has not yet been announced. Please check back later. So what have you been playing lately? Slow-paced RPGs? Thought-provoking strategy games? Perhaps something turn-based? Well, that's no good! What's going to happen to your coordination, your reaction time, and the other skills you developed playing fast-paced shooting games years ago? Time to dust those off! Sharpshooter is here to test, tax, and perhaps improve those skills! Grab a controller and prepare for action! Once you've initiated yourself with Training and the easier difficulties, get ready for the crazy challenge of the Expert and Master levels! You'll have to call upon every bit of your focus, coordination, and abilities...will it be enough? Can you keep up? Time to find out! Sharpshooter challenges you with 20 unique target-shooting minigames! Choose from five difficulty levels, then complete as many of the challenges presented to you as possible! Each minigame's difficulty will automatically adjust based on your performance, and the order in which you play them is always different, so it's never the same game twice! At the end, you'll be graded based on how well you did. Will your skills be enough to earn the coveted top grades? And then, can you do it again in Double mode, where you control two guns at once? Sharpshooter isn't just for single-player action! Bring a friend along, and you'll be able to take on the challenges together in the Competition mode! Will you try to hog all of the targets, or let your friend complete the goals? It's a tough choice, and if you choose not to play nice, your friend might challenge you to the no-holds-barred Versus mode, a straight-up, best-of-5 match! The winner stays in...the loser is out! Sharpshooter features both jump-in play and a separate, dedicated Versus mode, so you can take on challengers one after another! It's great at parties! Want to compete but don't have anyone around? No problem! 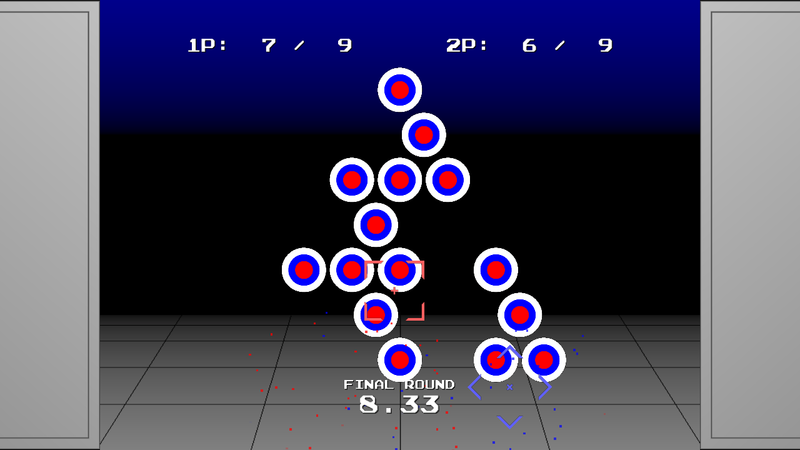 Shoot for a high score, then go to yyrGames.com and submit it to Internet Ranking! You'll be able to track your best scores, plus compete on ten unique scoreboards with players around the world. Go for #1! 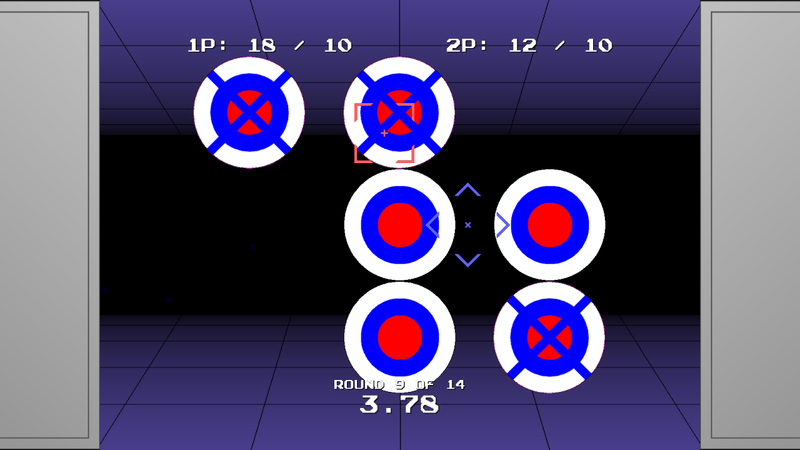 Sharpshooter features an intuitive control scheme that takes full advantage of the sensitivity provided by the Xbox 360 Controller's analog sticks. 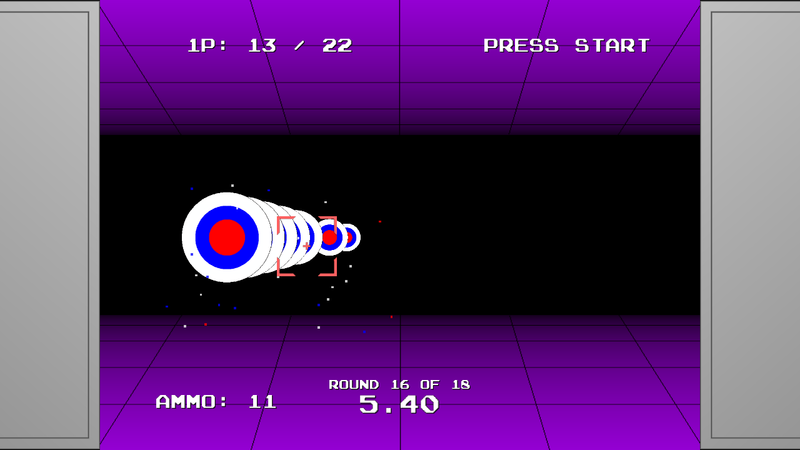 Once you're used to it, you'll be aiming with the same speed and precision allowed by light-gun controllers! Need more time to get used to it? 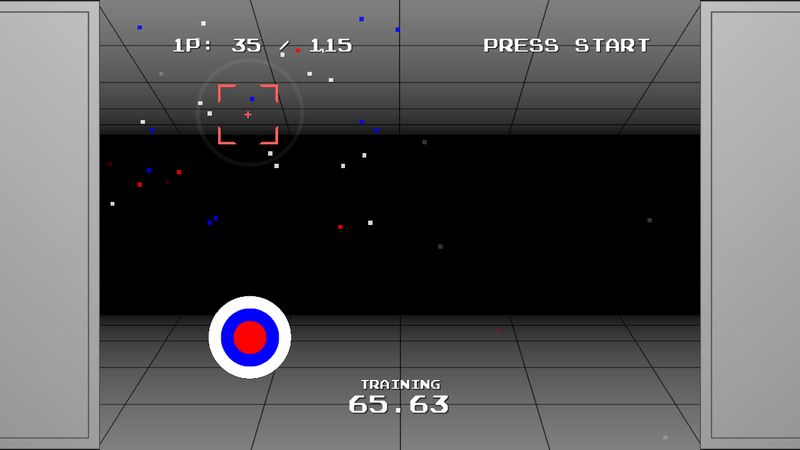 Check out the Training mode, featuring lots of large stationary and slow-moving targets. If you're zeroing in on that high score but need a little bit of practice on minigames that are giving you trouble, there's a Practice mode too! 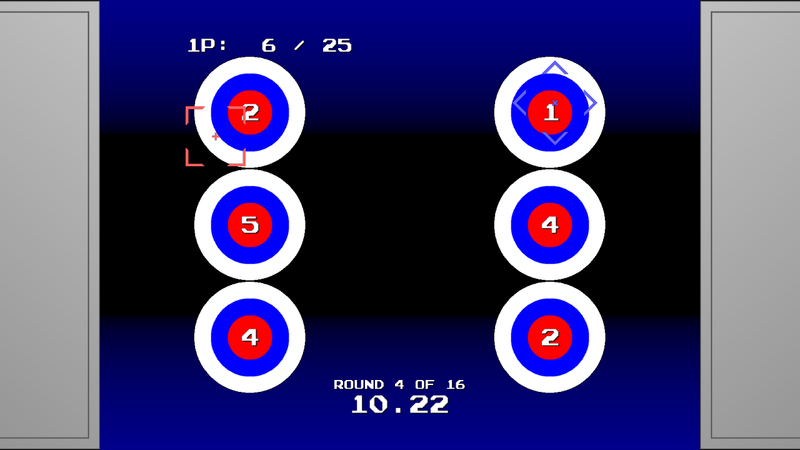 At any time, you can freely play any of the 20 minigames on any difficulty level. Practice by yourself, or with a friend...the choice is yours. And last, but not least, Sharpshooter also includes "The Best of Xbox LIVE Indie Games, Volume 1," absolutely free. You get all of this for just $1.00! Sharpshooter is now available on Xbox LIVE Indie Games...download the free trial version to your Xbox 360 right now! 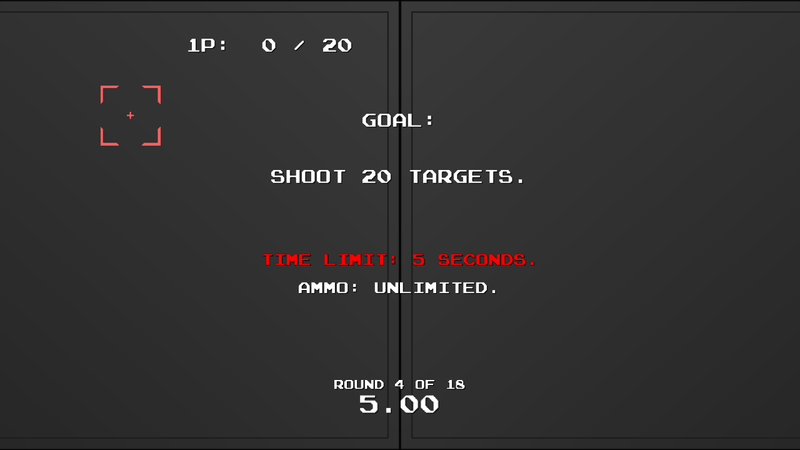 Optional Double mode for one player: can you handle the challenge of two guns at once? Free bonus: "The Best of Xbox LIVE Indie Games, Vol. 1"
Are we, as gamers, getting slow? A lot of modern games lack the raw action and intensity of many classics. They don't penalize us when we fail, they wait for us to catch up when we fall behind, and they move at a pace more suitable for snails than video gamers. These characteristics are atypical of recent games, perhaps even risky. But I feel that they make Sharpshooter into an intense ride, one that I truly enjoy. I hope you enjoy it as well, and find it worth the asking price. Please have a blast with Sharpshooter!